Locality: United States, Colorado, Dolores, Upper Dolores River Drainage and adjacent areas: San Juan National Forest: ca. 17 air mi NE of Dolores in the Mavreeso Canyon area, Forest Road 209. Verbatim Coordinates: T40N R13W SEC29, 30. 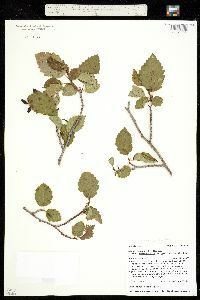 Habitat: Aspen, oak, snowberry, spruce, along creek and up the southeast side of a canyon on northwest facing slope. 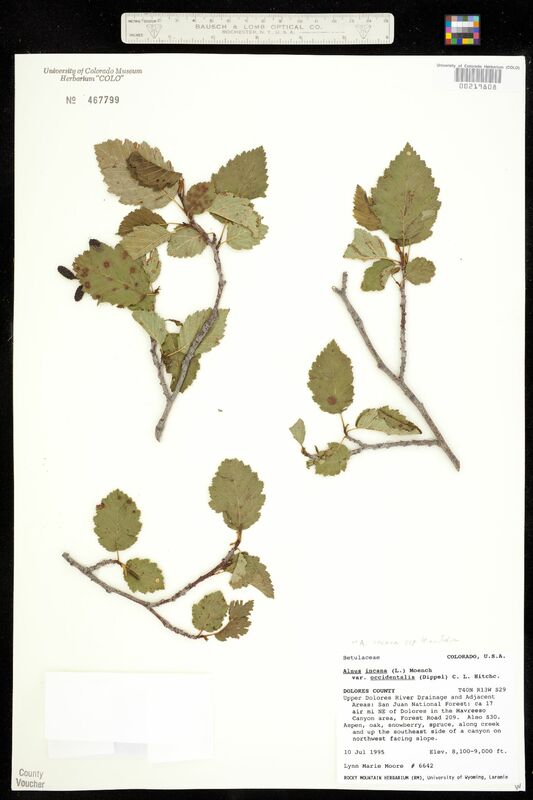 Occurrence Remarks: Originally identified as Alnus incana var. occidentalis.